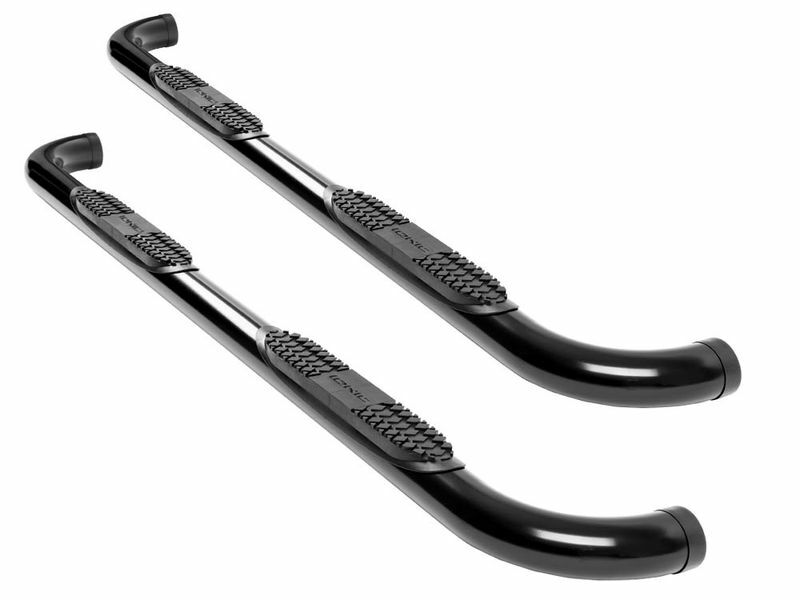 The Ionic Pro Series 3" black nerf bars are the perfect addition to your vehicle. Not only do they make your ride look better, but they also provide an easier step up. No longer worry about straining your muscles to just go for a drive. The durable steel construction is crafted into a solid 3" tube that has a load capacity up to 500 pounds. Each bar is coated in a resilient black powder-coat and features a recessed step for slip resistant capability. There is no drilling required on most models and each pair is covered with a 5 year warranty. Go on, order your vehicle the set of step bars it deserves with the Ionic Pro Series 3" black nerf bars. Nerf bars from Ionic Automotive install easily at home in your garage without drilling, cutting, or the use of any special tools on most models. The included instructions are easy to read & follow. If you have any questions or if you want any additional information, please feel free to call us.